In 2011, Samsung released a hybrid of Android smartphone and tablet—Samsung Galaxy Note. As a successor of Galaxy Note, the Galaxy Note II was unveiled in August 2012. With a 8-megapixel main camera that can record 1080p video, Galaxy Note is a good camera for users to snap photos. There are times you need to move photos from Galaxy Note to iPad for some purposes. Comparing to Galaxy Note, iPad’s bigger screen will provide a better visual effect for viewing photos. So in the following article, I will show you how to transfer Galaxy Note photos to iPad. Here, I will demonstrate in three ways to download photos to iPad from Samsung Galaxy Note. 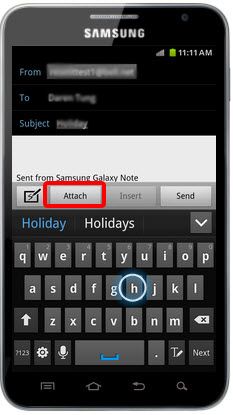 Galaxy Note and Note II both have email sending feature. Tap the email icon on smartphone screen. Tap Compose to write a new email, enter the email account tied with iPad into the receiver box. Tap Attach and import photos one by one from cellphone gallery. Once all photos are imported, you can tap the Send button to send it. Also you can open the gallery, select the photo you want to send, touch the photo and select Share via email. 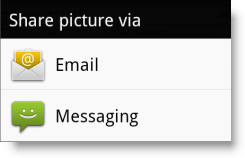 Then enter the receiver account and subject in the Compose screen, then send photos via email. Then tap the Mail icon on iPad and download photos . 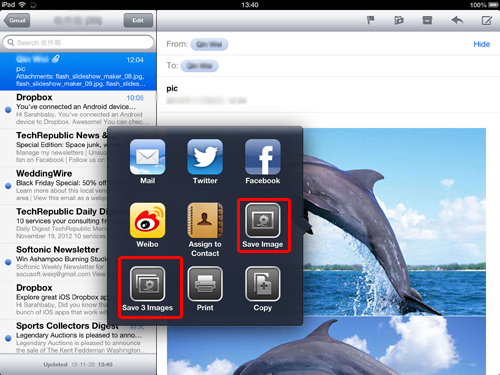 Tap Mail icon on iPad screen, open the email which includes photos and tap photo thumbnails for seconds, a small screen will appear to show where you can share photos. Then tap Save Image, the photos will be saved to Camera Roll automatically. First you need to install Dropbox on both iPad and Galaxy Note. Dropbox is a Free cloud service which can help store files on its server. Once you upload photos on Galaxy Note to Dropbox, you can view photos on your computer or iPad and download photos. Download Dropbox to your Android smartphone from Google play, register an account, upload photos on your Samsung Galaxy Note to your Dropbox account. 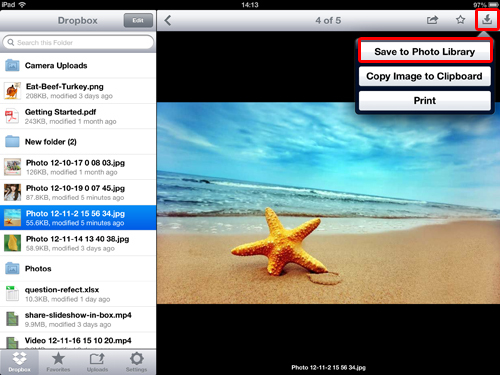 Download Dropbox to your iPad from Apple App Store, log in with the same account you use on Galaxy Note, tap the Download icon and choose Save to Photo Library. Connect Galaxy Note to PC using the USB data cable which should be provided with the phone. Then the PC will recognize the handset as an external drive. 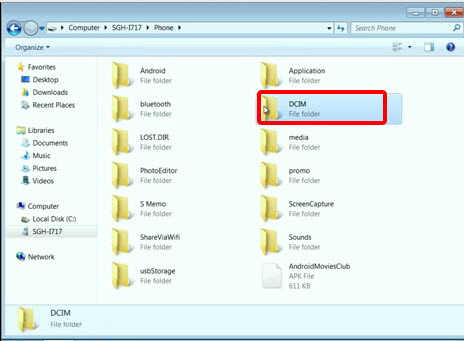 Click My Computer to find the Phone icon, click DCIM folder, copy photos and paste them to a folder on your computer. Then transfer photos from PC to iPad. Connect iPad to PC with Data cable, and use iTunes to sync photos to iPad. However, this may replace your original photos on iPad. 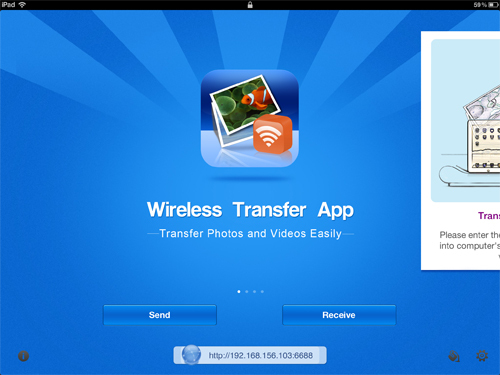 An easy way is to transfer photos with Wireless Transfer App. It can quickly and easily transfer photos via WiFi. After moving transfer photos from Samsung Galaxy Note to iPad, you can use these photos for certain purposes. Making a music slideshow with these photos sounds a good idea. A simple way to view photos in slideshow: Open one photo album on iPad, touch the Slideshow icon, choose a transition, add background music, then the photos will be played in a simple slideshow. However, you can not save the slideshow. If you want to make a professional slideshow, you may need to rely on a slideshow app, such as Photo Slideshow Director HD. 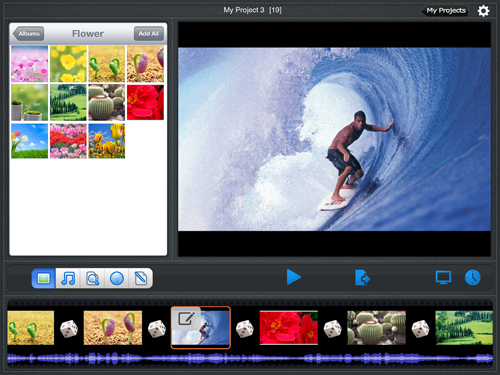 It is an easy-to-use but powerful slideshow software for iPad, which can help iPad users create a photo slideshow with pieces of music, kinds of transitions, customized pan&zoom effects, subtitles, text, theme etc. Also you can save the finished slideshow as a video to iPad or upload it YouTube and Facebook directly.